(Nanowerk News) Forget solid, liquid, and gas: there are in fact more than 500 phases of matter. 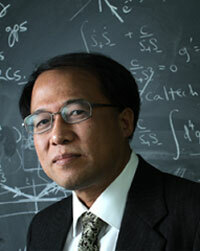 In a major paper in Science, Perimeter Faculty member Xiao-Gang Wen reveals a modern reclassification of all of them. Xiao Gang-Wen Using modern mathematics, Wen and collaborators reveal a new system which can, at last, successfully classify symmetry-protected phases of matter. Their new classification system will provide insight about these quantum phases of matter, which may in turn increase our ability to design states of matter for use in superconductors or quantum computers. This paper, titled, “Symmetry-Protected Topological Orders in Interacting Bosonic Systems”, is a revealing look at the intricate and fascinating world of quantum entanglement, and an important step toward a modern reclassification of all phases of matter. Find accessible explanations of the research – including condensed matter physics, symmetry, and topological order – at Perimeter Institute’s website: http://perimeterinstitute.ca/news/entering-new-phase. Regarded as one of the world’s leading condensed matter theorists, Xiao-Gang Wen holds the BMO Financial Group Isaac Newton Chair at Perimeter Institute for Theoretical Physics. The BMO/Newton Chair was established by a $4 million gift from the BMO Financial Group in 2010 and, in 2011, Wen joined Perimeter from MIT as its inaugural occupant.